Ongoing deal, never expires. Last validated 3mo ago . Used 13 times. 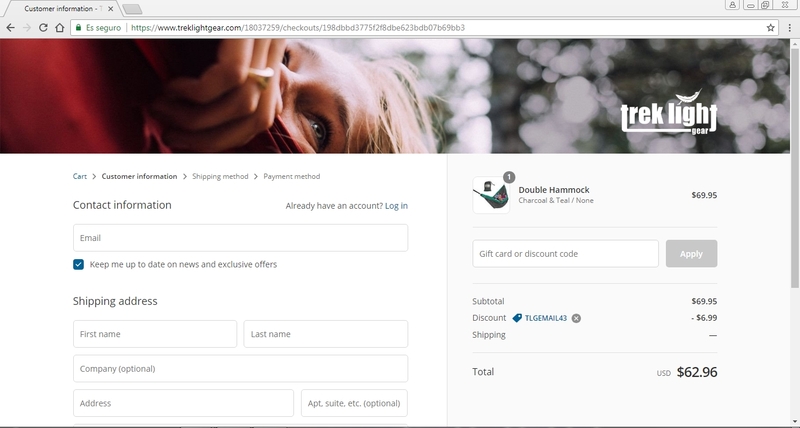 @dealseveryday As of 12/31/18, I tested this promo code and verified that it works as described. reinaldo briceño I am validating that this deal works as described, use the promo code at checkout to claim your 10% off. 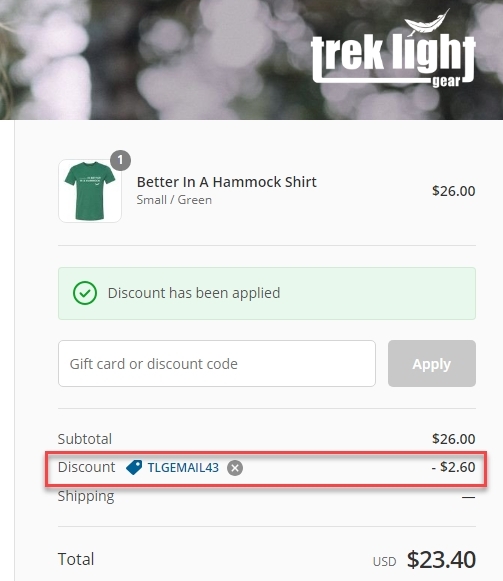 Carmen Araujo Go to Trek Light Gear and use this promotional code TLGEMAIL43 to save 10% off your order. 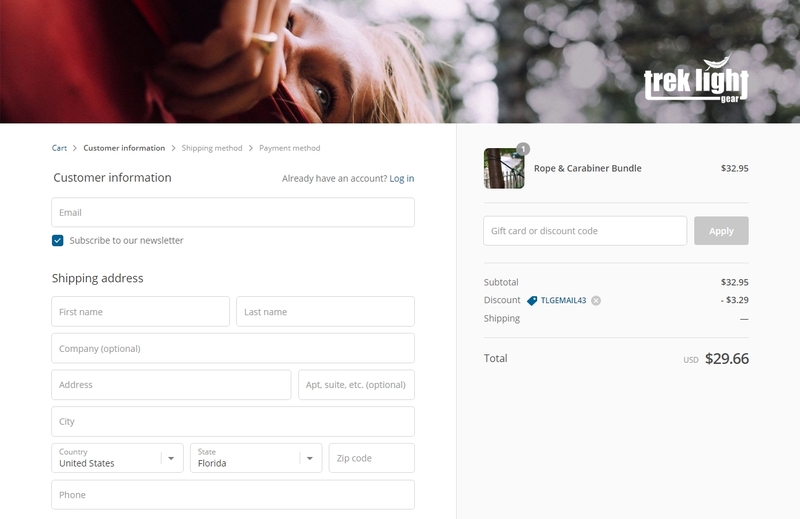 Just go and add any item in your shopping bag and then copy and paste the code at checkout to claim your discount. Paola Vanessa Briceño Araujo Go to Trek Light Gear and use this promotional code to save 10% off your order. Just go and apply this coupon code in your shopping bag at checkout. 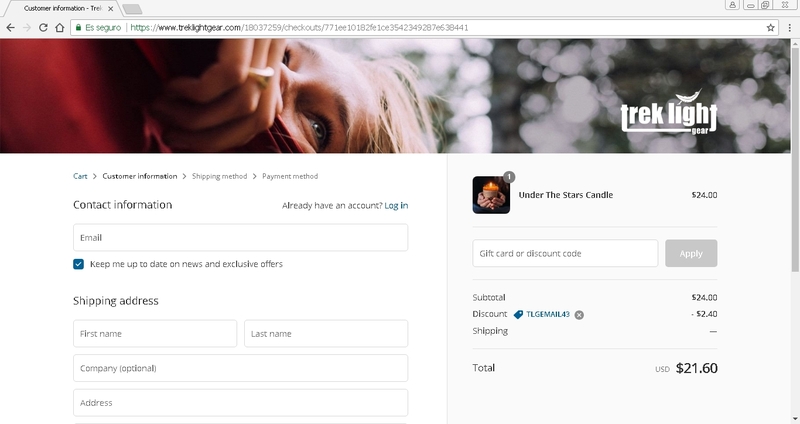 Yenyen As of 01/18/18, I tested this promo code and verified that it works as described. Exclusions apply. Hoops hit Simply enter the code during the payment process to apply this discount. There may be some exclusions that apply to this deal. 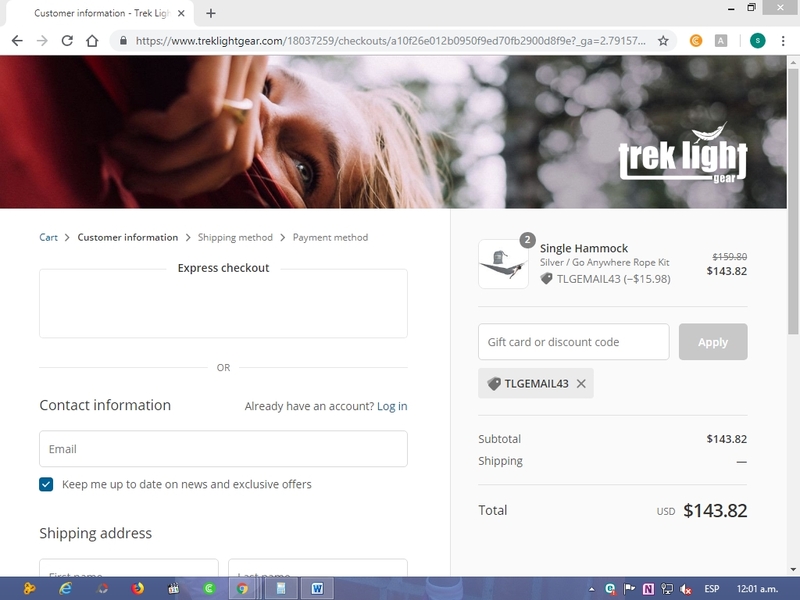 Yenyen As of 11/29/17, I tested this promo code and verified that it works as described. Exclusions apply.